It did---and very very nice --Thanks for sharing. Nice looking tank Beeguiles! I really like the statuary. ha love the decorations! the Tanks looks great. I agree redfish, i have some in the back corner but you cant really see it in the picture. Looks good!! When those plants grow it will fill in very nice! Hey all! I haven't been on here in such a long time and my 75 gallon has changed a bit since I have been on so I figured I would give an update. The tank is mainly a barb dominated tank now. With a school of gold barbs and rosy barbs. I also got an all black angel fish I have always wanted. 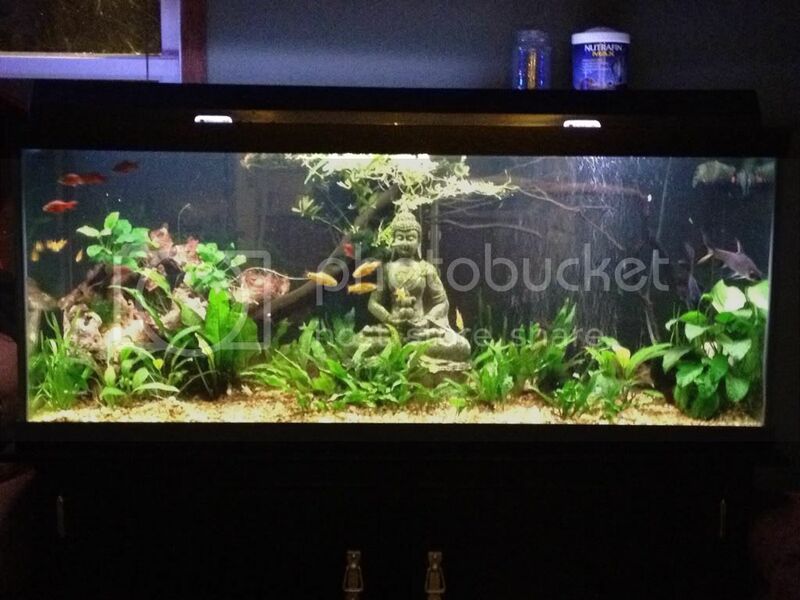 Here's a picture of the tank as it stands now. 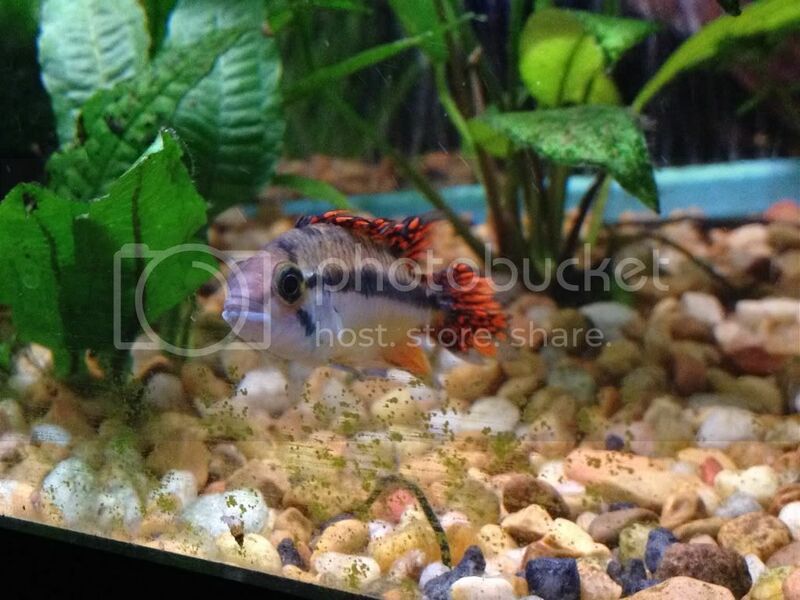 I also lie cichlids but can't have a full cichlid tank with community fish so I settled for some dwarf cichlids. 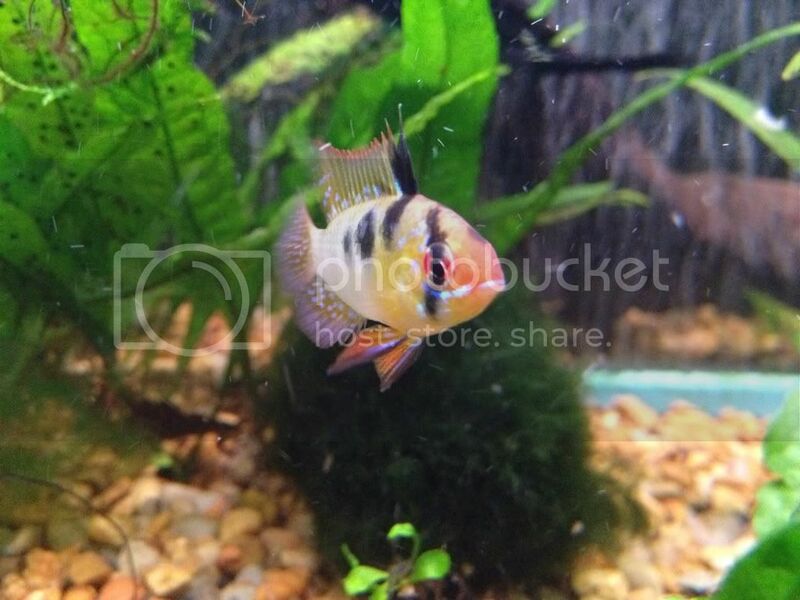 German rams and a double red cockatoo cichlid. Love them both. Veeeery nice! I love that big branch in there! 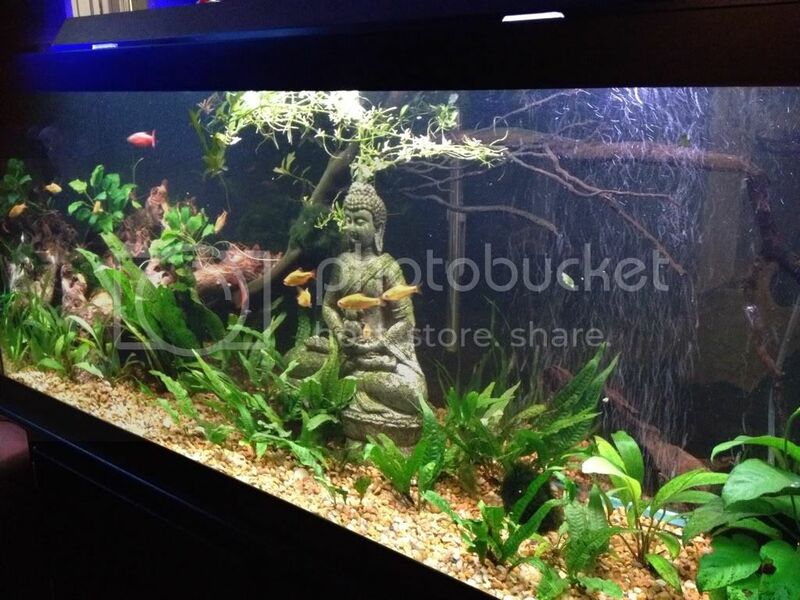 Healthy looking fish and tank! Thank you! I am very happy with this tank. I've had it up and running for I'd say close to 3-4 years now and I've had some issues with it but the tank is doing wonderful now! I do want to upgrade lighting to either a one or two bulb t5 fixture for better growth on my plants. The light fixture I have now is the original from when I set the tank up. I can't believe that same bulb is running still after three years! Nice tank! I agree about the branch, it is awesome. 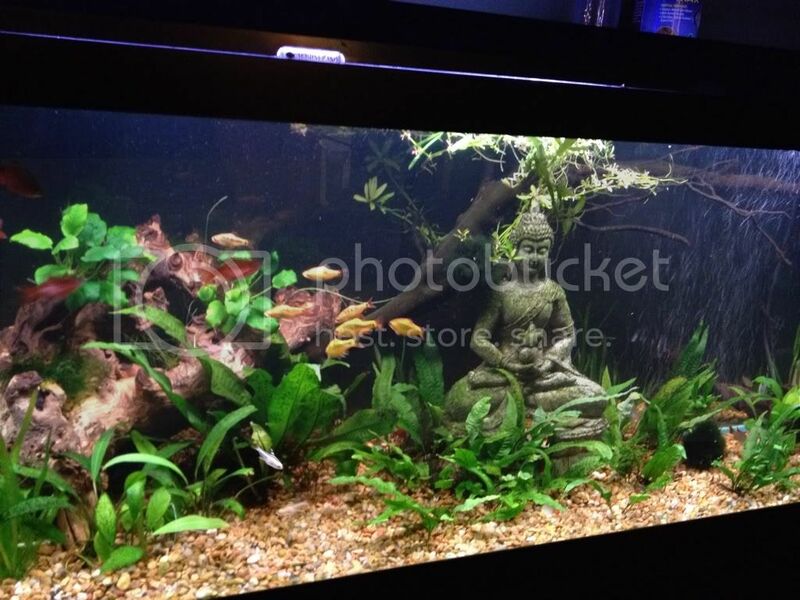 Nice looking tank, like the statue ( Indian I believe ), Good job! Lovely tank with some nice growth! Thanks for the compliments guys I do want to add another piece of driftwood to the right side but I'm looking for the perfect unique piece. I'd love to see a close up of that all black angel! mamaste, please note that this thread is 2 years old and that the Owner of that black angel hasn't logged into their account here since her last post March of 2013. Page created in 20.073 seconds with 18 queries.